With the economy today, we know you’re looking for the best bang for your buck. There’s no better investment than a kitchen remodel. Whether you are considering a full remodel or a face-lift, upgrading your kitchen is one of the most noticeable – and pleasurable – changes you can make to your home. Before you get started with your kitchen-remodeling project, though, it is important to do your research. A kitchen has many “layers” to it – full of features and functions. You can become easily overwhelmed with the vast array of choices, so do not rush into any spur-of-the-moment purchases or decisions. This is not a room to “piece together” without the full vision in place. 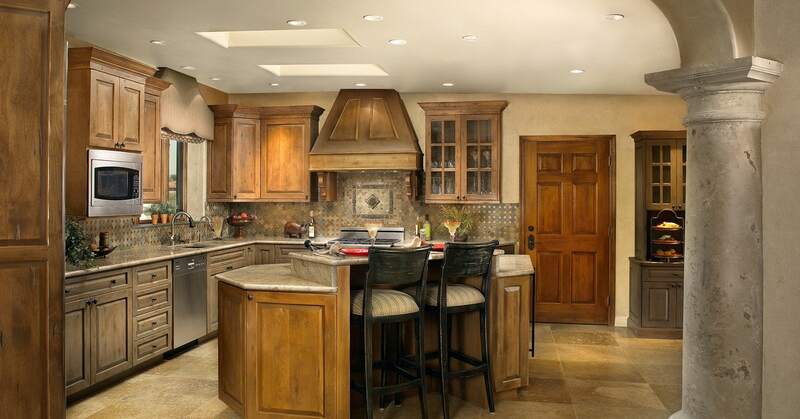 A kitchen remodel can involve everything from tearing down walls to simply painting cabinets and adding new hardware. Before you begin, you must determine your goals and your budget. Once you have your budget in place, you should review your goals for the space. What are you trying to accomplish? Do you want more countertop space, more storage or simply a new look (or all three)? And finally, depending on the scope of the remodel, your level of skill and the time you have to devote to the project, you need to determine if you are going to hire a contractor – or do part (or all) of the work yourself. Once you know your goals for the space, it is time to begin your research for the changes you want to make in your kitchen. Start with your top priority and determine the cost. Deduct that cost from your budget and continue onward in order of importance. You may find yourself making adjustments and changes as you move through this process, in order to get the kitchen you want. Before making any final purchases, you should also consider the cost, quality, functionality and durability of your items. Make sure that all items function well together and that, when installed, they will add value to your home – and years of enjoyment to your kitchen. Want more tips and suggestions? Subscribe to our newsletter.